Watch the Global Economic Outlook session here . 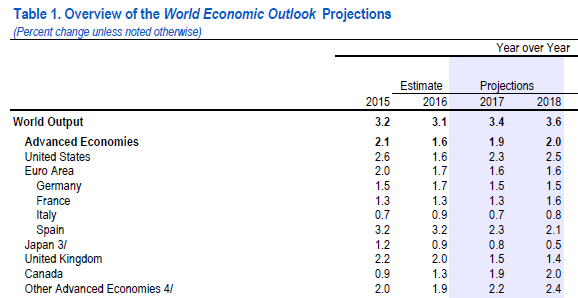 The International Monetary Fund expects faster global growth this year - 3.4% against 2016's 3.1%. It’s forecasting a further rise to 3.6% by 2018. But the Fund is warning that there are a large number of risks that could derail that recovery. 2. Big changes to US tax and spending policy? One of the biggest uncertainties in the IMF's forecast is over US fiscal policy. President-elect Trump has talked of major tax cuts . And with talk of a trillion dollars in infrastructure spending , some economists think US growth could accelerate much more sharply. 3. Can China’s rebalancing continue? Over recent years, Chinese growth has switched from relying on exports to domestic consumption. Supporting this switch has been very high growth in credit (20% per annum.) Some view this as benign - an effective recycling of high Chinese savings. Others, including the IMF , worry it may be unsustainable. 4. How will Europe weather political storms? 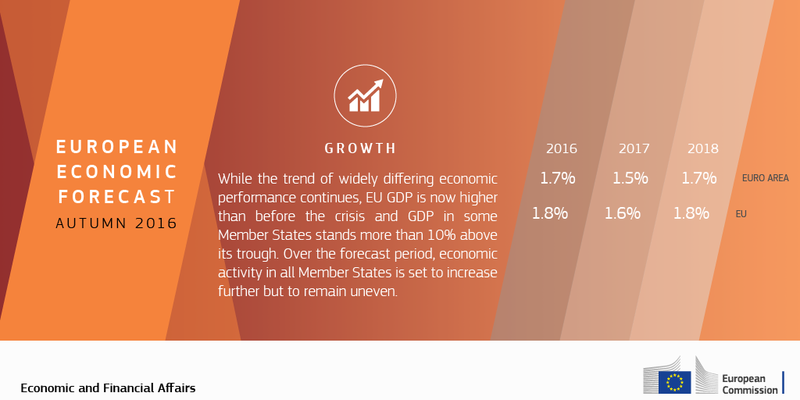 In 2016, the EU economy probably grew by 1.8%. Much higher than the average from 2008-2015 but still too weak to make much of a dent in unemployment. The EU expects little change this year. And with elections in France, Germany, the Netherlands and, possibly, Italy, there’s a chance any political turbulence might set growth back again. 5. Will battles over trade undermine growth? After very weak growth in 2016, international trade is set to expand more quickly. But it is unlikely to meet the long-term average of 5% a year. And with the new US administration voicing concerns about unfair trade, the IMF sees restrictions on global trade as one of the biggest risks.